Contact Us for Your Electronic Fingerprinting Industry List for Fingerprinting Requirement in Ohio. FastFingerprints provides electronic fingerprinting services for all Ohio professions requiring employee background checks, from nursing and pharmacy to the medical marijuana industry. 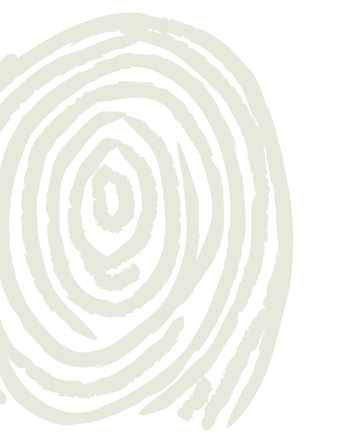 Today, many professions and industries require employee fingerprinting. Ohio regulation requires fingerprint background checks for owners and employees of all businesses in the medical marijuana industry. FastFingerprints provides electronic fingerprinting and submission for BCI and/or FBI background checks. Electronic fingerprinting is a fast, clean and accurate process, minimizing errors that frequently occur during ink fingerprinting methods. FastFingerprints accelerates the licensing or hiring process for the medical marijuana industry in Ohio, helping you make important decisions in a timely, convenient and cost-effective manner. Plus, we use state-of-the-art scanners and secure submission procedures compatible with the Ohio Bureau of Criminal Investigation (BCI) and the Federal Bureau of Investigation (FBI) for state and national database checks. Our digital fingerprinting solutions have been certified by the state of Ohio and are guaranteed to meet the employee background check requirements for Ohio medical marijuana employees. Because we are an independent fingerprinting and background check service provider, you don’t have to worry about waiting in long lines at the BMV or other government service locations. FastFingerprints gladly accepts walk-ins for electronic fingerprinting at several convenient locations throughout Ohio, or if preferred, we also accept appointment scheduling. Additionally, FastFingerprints can complete all of your fingerprinting and employee background check needs at your location! We will come to you and save your employees the time and travel. FastFingerprints is excited to offer two new locations in Ohio. The first location is inside Eastern Personnel Services at 619 Central Avenue, Cincinnati, OH 45202. This location is open Monday through Friday 8:30AM-4:30PM. The second location is inside ARCpoint Labs at 3019 Production Court, Dayton, OH 45414. This location is open Monday through Friday from 9:00AM-4:30PM. Walk-ins are welcome at both locations. Both locations offer the following services: Ohio BCI and FBI background checks, Florida Level 2 background checks (AHCA Photo Capable), fingerprint capture for expedited FBI background checks and indefinite fingerprint storage. FastFingerprints, a division of National Background Check, Inc., has been a leader in the fingerprinting services industry, technology, and equipment required to process state and FBI background checks via electronic fingerprinting since 1999. Currently located in 14 states, FastFingerprints offers a plethora of services including, but not limited to, livescan fingerprinting, ink & roll fingerprinting, fingerprint card printing, drug screening, database background checks, and out of state fingerprinting. FastFingerprints' services many customers in the industries of insurance, real estate, security guard, home health, nursing, medical marijuana, and any area where a fingerprint background check is part of a licensing requirement. FastFingerprints welcomes walk-ins and are available for mobile fingerprinting appointments. To find a location near you, make an appointment, check services, or inquire about mobile services, please visit call 1.877.932.2435, or visit www.fastfingerprints.com. FastFingerprints is excited to offer two new locations in Las Vegas on both sides of Las Vegas Boulevard. The first location is inside Safe Ship Las Vegas at 7250 S Durango Dr., Suite 130, Las Vegas, NV 89113. This location is open Monday through Friday 9:00AM-5:30PM and Saturday 9:00AM-2:00 PM. The second location is inside ARCpoint Labs at 3365 East Flamingo Rd., Suite 4, Las Vegas, NV 89121. This location is open Monday through Friday from 8:30AM-5:00PM and Saturday 9:00AM-2:00PM. Walk-ins are welcome at both locations. Both locations offer the following services: Florida Level 2 background checks, fingerprint capture for expedited FBI background checks and indefinite fingerprint storage. FastFingerprints is an industry leader in Livescan fingerprinting technology, allowing individuals to complete a Florida Level 2 background check or fingerprint capture without the messy ink. FastFingerprints patented biometric software evaluates fingerprint quality before submission, which greatly lowers the chance of a background check being rejected for fingerprint quality. FastFingerprints' parent company, National Background Check, Inc. (NBCI), is an approved FBI Channeling Agency. Results are available via mail, express mail and/or a web portal. This expedited background check process typically takes 2-3 business days, however, same-day service is also available. These FBI background checks are apostille-ready and can be used for work visas and student visas, foreign residency and travel, national and international adoptions, personal reasons, and for those wanting to review or challenge information on their own personal record. If you are a licensed educator working in the state of Ohio, you may need to get another fingerprint background check in the near future. News recently broke that over 4,700 Ohio educators' fingerprints were missing from the state's fingerprint database. According to The Ohio Department of Education, 1,200 of those educators work in Public Schools. Stay ahead by getting your fingerprint background check with FastFingerprints today! FastFingerprints was recently featured in The Columbus Dispatch for the Grand Opening of our Pickerington, Ohio location, which opened on Wednesday, February 4, 2016. FastFingerprints Pickerington (inside Arrow Security) has a wide range of services, which includes livescan electronic fingerprinting for Ohio BCI and FBI background checks, fingerprint capture for FBI Channeling, Florida Level 2 Livescan background checks, notary services, and oral drug testing. The FastFingerprints Pickerington site is located at 155 E. Columbus Street, Pickerington, OH 43147. Hours are Monday-Friday 9am-2pm and 3pm-5pm, and Saturdays from 10am-2pm. 10TV Story Inspires New Daycare Bill - FastFingerprints Can Help!!!! FastFingerprints is here to help daycares ensure that criminals are not hired to take care of Ohio's most precious commodity - our children! Please call us to schedule a mobile appointment right away!! We will visit your site and fingerprint everyone on site. A minimum of 25 transactions are required. If you don't have 25 and can work with a neighboring daycare within a mile to total a minimum of 25, we will make the trip. Let us help you be compliant with employee background checks, before the passing of House Bill 64. READ THE 10tv STORY BELOW: 10 Investigates found dozens of daycares across the state who hired employees with violent and drug-filled histories to care for Ohio's children. Lawmakers were shocked at our findings and now, they're demanding change. A Central Ohio lawmaker has added language to the state’s budget bill that could change how daycares are monitored; and we are told other amendments are in the works. There are three pending proposals that can affect day cares, including one that would allow state inspectors to immediately shut down daycares while they look into allegations of criminal employees working inside. 10 Investigates reviewed almost 2,500 daycares from around the state and uncovered at least 125 different centers have hired criminals or were cited by the state for incomplete criminal records. 10 Investigates brought its findings to state lawmakers. As of August 27th, the Lancaster ETAT Enterprise site is no longer a FastFingerprints’ location. Please advise any individuals in the Lancaster area to visit our Columbus-Bethel Road location. Our FastFingerprints Columbus-Bethel Road office is located at 1486 Bethel Road, Columbus, OH 43220. They are open Monday-Friday 8:00am-5:00pm & Saturdays 9:00pm-12:00pm and walk-ins are always welcome during hours of operations. FastFingerprints Has Expanded To Arizona! FastFingerprints, a National Background Check, Inc. company, has expanded its livescan fingerprinting services to Arizona. FastFingerprints’ fingerprint card capabilities are now available at the Gilbert and Scottsdale campuses of the Arizona School of Real Estate and Business. These new locations utilize FastFingerprints’ livescan fingerprint capture, which has the ability to obtain the best quality fingerprint images for fingerprint cards. This service can be used in order to obtain the necessary fingerprints cards required to submit an application for an Arizona Fingerprint Clearance Card. Applicants can walk into this location, without an appointment, and within minutes have their fingerprints captured onto cards. These new FastFingerprints’ locations can also assist individuals who require fingerprint cards for other out-of-state licensing or employment reasons, or for submission of FBI Channeling applications. The FastFingerprints in Gilbert is located at 665 N. Gilbert Road, Suite 135, Gilbert, AZ 85234. The FastFingerprints in Scottsdale is located at 7142 E First Street, Scottsdale, AZ 85251. Both locations welcome walk-ins, are open Monday-Friday 8:30am - 5:00pm, and are located inside the Arizona School of Real Estate and Business. Additional information about FastFingerprints in the state of Arizona can be found at www.FastFingerprintsArizona.com. Please check the website regularly for more information on the services offered, and updates on future locations to the FastFingerprints network. FastFingerprints Is Expanding Its Fingerprinting Services To Washington, D.C! Columbus, OH (July 28, 2014) - FastFingerprints, a National Background Check, Inc. company, is expanding its livescan fingerprinting services to Washington, D.C. FastFingerprints’ fingerprint card capabilities and Florida Level 2 Livescan services will be available at their Farragut Square location in downtown Washington, D.C. on Monday August 11, 2014. This new location utilizes FastFingerprints’ livescan fingerprint capture, which has the ability to obtain the best quality fingerprint images for printing onto fingerprint cards. Applicants can walk into this location without an appointment, and within minutes have their fingerprints captured onto cards. This new FastFingerprints’ location can also assist any individual who requires fingerprint cards for other licensing or employment reasons. FastFingerprints’ Farragut Square location, will also provide Florida Department of Law Enforcement (FDLE) Level 2 Livescan background checks. Anyone in the DC area planning to move to Florida will be able to obtain a Florida background check in advance. As an approved Level 2 livescan vendor for FDLE, FastFingerprints is able to capture fingerprints electronically and transmit them directly to FDLE; results are then delivered to the state agency requesting the background check. Florida state agencies, such as the Department of Health (DOH) and the Agency for Health Care Administration (AHCA) also require a photo with each background check. FastFingerprints has Photo Capture capabilities to meet that need, allowing for the capture of the applicants photo for transmission to FDLE, at the time of fingerprinting. This process meets the Level 2 Livescan background check requirement for the state of Florida. The new Farragut Square FastFingerprints is located inside Apostille Courier Express at 1629 K Street, Suite 300, Washington, D.C. 20006 (inside The Davis Building). Their hours of operation are Monday-Friday 10:00am-12:00pm and 1:00pm-4:30pm. Walk-ins are always welcome! FastFingerprints Is Now Accepting Fingerprint Cards For Florida Background Checks! Columbus, OH (February 10, 2014) - FastFingerprints has expanded its Florida fingerprint services via the Columbus (Bethel Road) Ohio office. FastFingerprints is now able to accept fingerprint cards from out-of-state individuals wishing to obtain a Florida background check. Previously, FastFingerprints only offered out-of-state residents Level 2 Live scan fingerprinting, (sent electronically to Florida Department of Law Enforcement) from the Columbus, Beachwood, and Westlake, Ohio offices. An individual must be present at one of these locations, in order to submit their fingerprints. All three locations are FDLE approved and certified to submit fingerprints and the photo, required by AHCA and DOH, directly to the FDLE. As of February 3, 2014, FastFingerprints’ new Florida fingerprint card submission process allows individuals, not currently living in Florida or Ohio, to mail fingerprint cards to FastFingerprints, which are then scanned, and electronically submitted to FDLE. The fingerprints are processed through the FDLE, and results are delivered to the state agency requesting the background check. All fingerprint cards must be sent to the Bethel Road, Columbus, OH office.